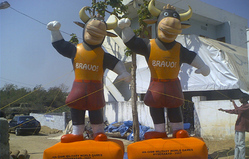 Leveraging on our vast infrastructure, we are capable of offering an exclusive range of Inflatable Advertising Balloon. All the offered balloons are designed in compliance with industry standards, making use of quality material. 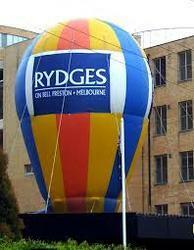 These balloons are provided to clients in various designs, sizes and patterns at market leading prices. We manufacture clear PVC Balloons with printed card placed inside. Being a specialized organization in this domain, we are expert in providing Customized Walking Inflatable Balloons to our customers.